The Advertising Standards Authority has punished Gala Bingo for promoting a television advertisement in February 2017 that was found to be misleading. 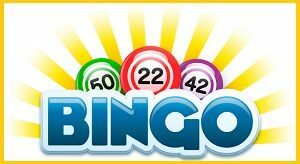 The Gibraltar-based bingo site said that people could win £5,000 in the final chase games held here every week. There was also an offer stated that people could play at a particular quiz night. The advertisement had a disclaimer at the bottom of the screen saying that the offer is good only to residents of the United Kingdom 18 years of age or older. Also, this offer was being made until February 25, 2017. Details on qualifying games being offered were listed as well as information on going to the main Gala Bingo website to get full information on what was being offered (bingo guide here). There were complaints to the ASA about the advert being too confusing and difficult to figure out. This included concerns over how the ad had fine print which was extremely difficult to read. Gala Interactive argues over how the disclaimer text being added was appropriate for the standards that the BCAP Code lists in terms of advertising notes. The text was at 57px in height and was on screen for 17 seconds. Therefore, the group says that its work for promoting the general disclaimer and report was appropriate and sensible. Clearcast, an organization outside of the government, was responsible for the process of approving the television advertising being used. Clearcast argues how Gala Bingo had done everything it was supposed to in order to get its disclaimer to be made visible and easier for people to read properly. Clearcast says that the disclaimer was on screen long enough and it met the proper guidelines for display, thus making it all work within the legal guidelines which had been established long ago. The Advertising Standards Authority is still reviewing the issue to see what problems might have come about and what has to be used to ensure that an advertisement being posted is fair and sensible. There is a concern with the ASA over how the words which were used were compressed heavily in spite of being on screen long enough and being tall in accordance with general rules. There is the overall argument on how the words were bunched closely to the point where it was hard to see what was posted. The background being used at the time was also deemed to be a problem. This comes as the background had not been of a favorable format to where it would have been easy or sensible for people to read what was on it. As a result, it would have been difficult for people to actually see what was on the page. As a result, the ad broke a number of rules, particularly BCAP Codes 3.1 and 3.2 and 3.11 for misleading information and qualification. The advertisement has since been banned from air. Gala Interactive has also been warned to ensure from how it looks into how its future advertisements are posted so there is less of a risk of problematic concerns coming about over time within the ads over where the site is aiming to use.